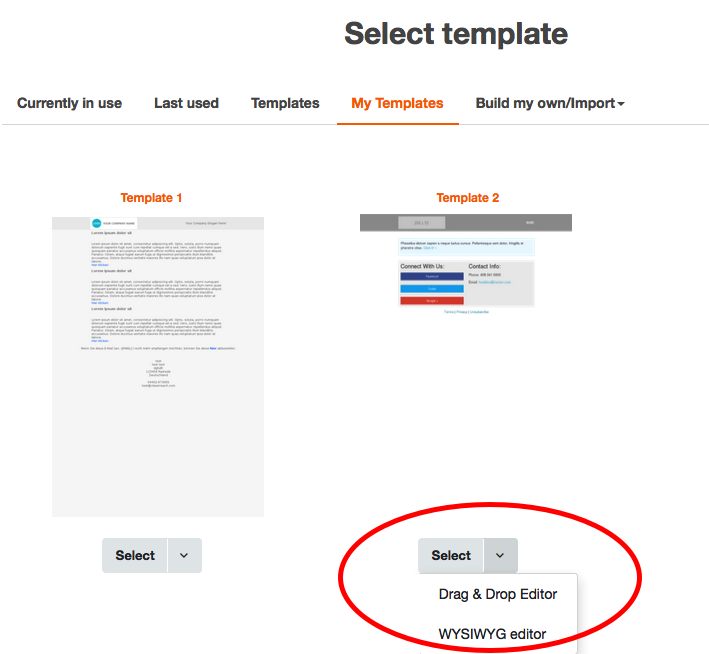 If you want to use custom templates in the Drag & Drop editor you need to enter template tags into your template file. Only if these tags are present you can save and edit templates. You will find further information on template tags in the article on our template technology. 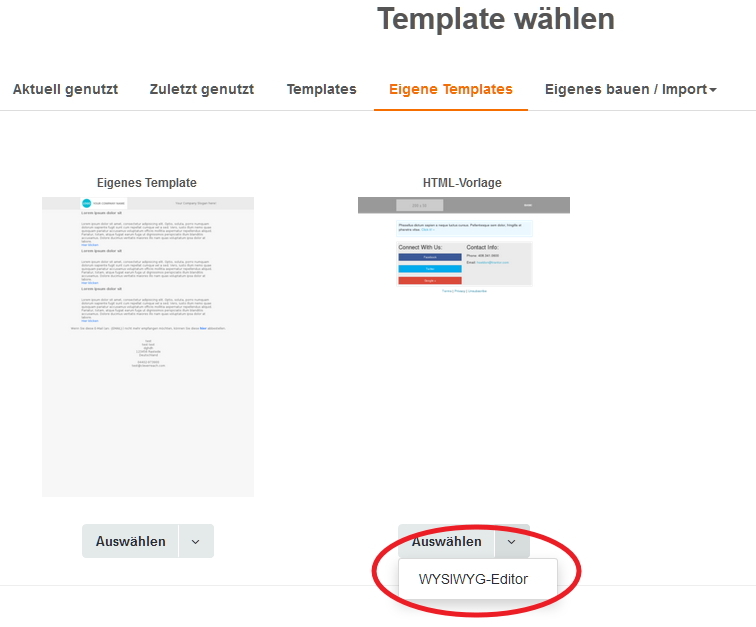 So, if you cannot select your custom template under [Templates] in the Drag & Drop editor you have the additional option to upload the template to the HTML-editor and work with it.